Effective way of ensuring that no new school equipment is “lost”? What’s the most effective way of ensuring that no new school equipment is “lost”? It is surprising to think that there is a very simple process which, if carried out at the right time, will eliminate the chance of equipment being “lost” from your school premises. Surprising, because not only is it simple but also very low cost – and yet not every school follows this process. All you need to do – and this is what increasing numbers of schools do each year – is order enough SILVER MARK security labels ready for the new equipment that arrives in September or during the summer break. Sadly, what does happen in some cases is that the Identification labels are not ordered until after the new equipment has arrived and been put to use – which can of course be a too late to prevent equipment being lost. What are ID Silver Mark Labels? ID SILVER MARK are precision cut stencil labels that include UV ink which are ideal for labelling IT equipment (including iPads, tablets and mobiles) as no one can remove the label without it fragmenting and even if they do remove it, a permanent UV mark is left underneath showing the school name and postcode. Not only do these UV labels act as a deterrent they also help schools track equipment if it goes missing by including consecutive numbering. 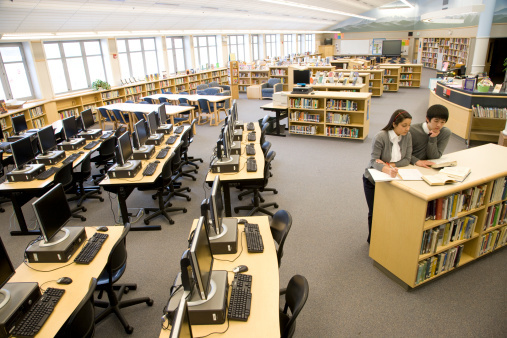 By keep a record of each item marked item against its unique number you can also track the equipment throughout its life at the school. Better still, the police and insurance companies have noted that the ID SILVER MARK system conforms to Home Office Guidelines - by using your school name and postcode as a way of identifying your property, this helps with item recovery in case of theft. ID SILVER MARK is available in black or silver materials with permanent adhesive. All Dantech asset identification labels are personalised with your school name as well as sequential numbering. 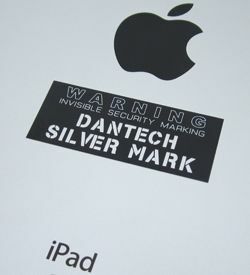 To order ID SILVER MARK labels call Dantech on 01354 688 488 or contact us for free and unbiased help and advice.